A partial nephrectomy is a surgical procedure used to remove the diseased part of a kidney. 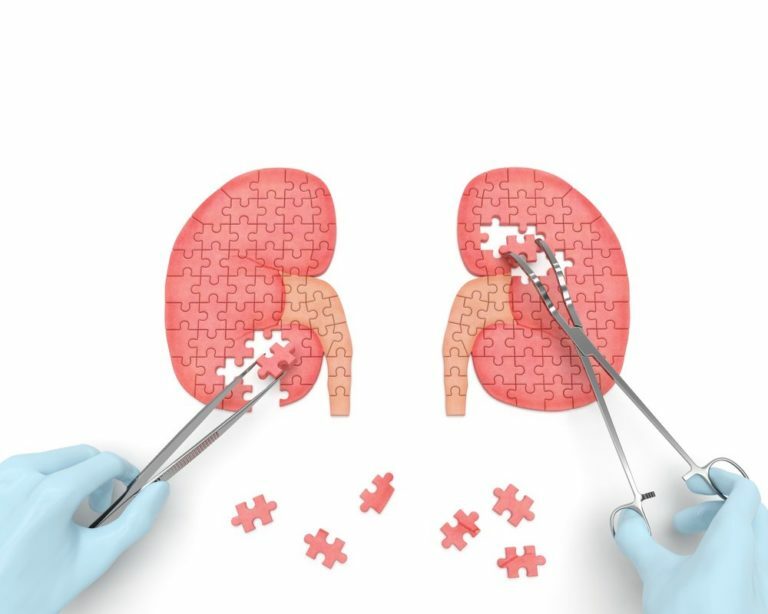 Though not all patients qualify for a partial nephrectomy instead of a radical nephrectomy, those who do are less likely to develop chronic kidney disease or require dialysis. Traditional partial nephrectomy procedures require long incisions in the side or abdomen. With minimally invasive surgery using Da Vinci, surgeons instead make only a few very small abdominal incisions. Da Vinci’s state of the art robotic system leaves little room for error, and its extreme efficiency makes for a shorter recovery time, less pain, and a much lower risk of post-procedural complications. that da Vinci ® mimics and improves upon the real-life motions of your surgeon’s wrist? The robotic arms are meticulous and exact, and the machine’s broad range of motion makes it possible for your surgeon to operate in ways not possible using the human hand alone. Da Vinci is also outfitted with a highly advance imaging system that provides surgeons with a 3D view of the surgical site and surrounding tissues. Am I a candidate for a da Vinci ® partial nephrectomy? There are many reasons for undergoing a partial nephrectomy. If your urologist recommends this procedure due to kidney cancer, disease, or a severely damaged area of your kidney, be sure to ask about da Vinci ® partial nephrectomy and whether it is right for you. Because da Vinci ® is minimally invasive, most patients who qualify for a traditional partial nephrectomy will also be candidates for robotic-assisted surgery. What should I expect during a robot-assisted partial nephrectomy procedure? You will be fully sedated for the duration of your surgery. Instead of making a large incision, your surgeon will make only a few tiny incisions similar to those made in a laparoscopic surgery. Your surgeon will use the da Vinci ® robotic system to remove only the diseased portion of your kidney, leaving the healthy parts intact. Da Vinci’s robotic arms are extremely precise and nimble, making them capable of operating on a human kidney with far more accuracy than humanly possible. You can expect to spend a few days in the hospital following your procedure. You will have a catheter in place during this time, which may be removed within 24 to 48 hours of surgery. Your surgeon will provide instructions for at-home care, including guidelines for activities, diet, rest, and returning to work. Most people make a full recovery and function well with one whole and part of another kidney. Talk with your urologist about how partial nephrectomy could specifically affect you after surgery.